Even if you don’t yet own a pair, you’ll instantly recognise the iconic shape of the Crocs Classic Clog. They’ve sold over 300 million pairs in over 90 countries around the world, and now you can get them right here at Shoe Zone! Lightweight, colourful and comfortable, Crocs are the ideal shoe if you’re going to be spending a lot of time on your feet, or you need something waterproof. On your feet all day at work? Heading off to the beach? Doing housework or gardening? Crocs are the shoes for you! Crocs sandals and clogs have been specially developed with comfort in mind, so they're not just light and ergonomic, but also have a thick sole and massaging footbed, so you can easily wear them all day. 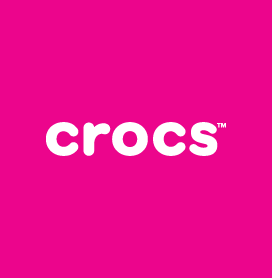 We’ve got a huge range of styles and colours in our Crocs range. Not just men’s and women’s Crocs, but children’s Crocs too! They’re really great for kids as they’re easy to put on and take off, provide plenty of support and are hard-wearing enough to stand up to the wear and tear that kids inflict on their shoes on a daily basis. Your little ones can even wear them in the water, which makes them perfect for beach holidays! As with all of our shoes, our Crocs shoes and clogs are available at great low prices. And with free UK delivery on all orders, there’s no reason not to order them for the whole family! 11 products from £12.99 to £29.99.